Last year my hubby and I were invited by our friends in the church to go on vacation with them to Cookson Hill, Oklahoma. We stayed in a vacation house and the place was so clean, organized and so peaceful. It's like we were home away from home. We attended the Balloon Festival in Tahlequah. 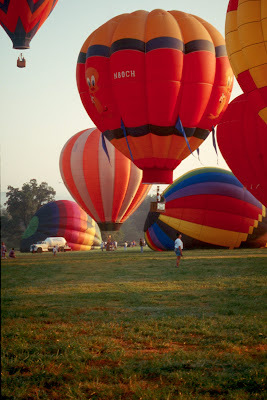 The Balloon Festival features approximately 60 hot-air balloons of every size, color, shape, and variety. The festival boasts a free children's area with all sorts of activities and events including clowns and a youth hot-air balloon contest. A variety of vendors and entertainers were also on hand serving up mouth-watering food, live entertainment, arts and crafts, as well as displays and activities throughout the weekend. 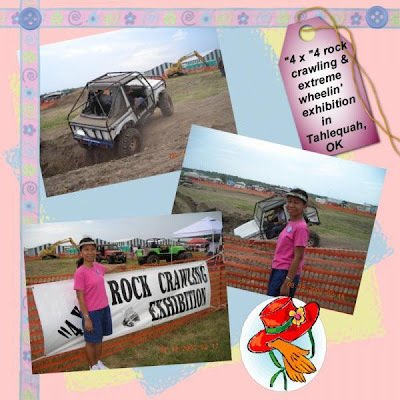 There was also an Extreme Wheelin' show and Classic Cars show. It was my first time to attend it and I was so fascinated in watching those colorful balloons at night. We were at the park and we waited until they lighted and flew those balloons. They call it balloon glow. Then the next day, we were there again to watch the flying of the balloons. There was also a live concert which entertained us while waiting on the balloons to fly. We really had a good time. I miss the balloon race in Reno, NV. We used to go no matter how it cold it was during September morning but it was fun!